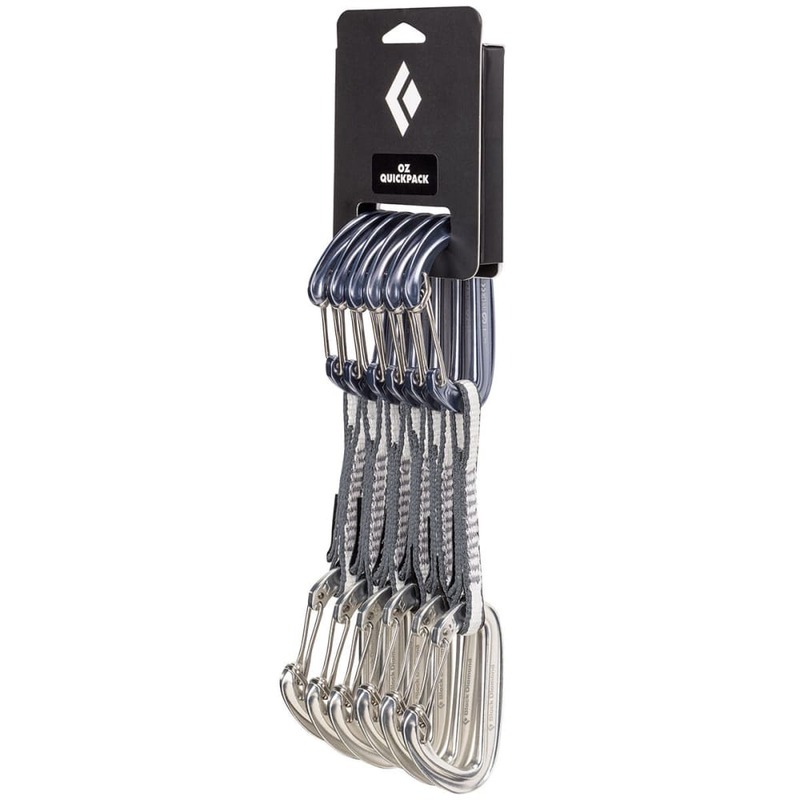 Black Diamond’s lightest Quickdraw carabiners give you just the features for reducing weight on all-day gear routes and marathon sports pitches. Hot-forged Oz wiregate carabiners on the top and bottom, separated by a lightweight 10mm Dynex dogbone, use a stainless steel wire hood to offer keylock functionality. In turn, as you’re sending routes, the combination, coupled with snag-free HoodWire technology, delivers improved clipping and cleaning. Best for alpine missions and any climb requiring a light rack. This product will be shipped by Black Diamond and will leave their warehouse in 2-3 business days. Eligible for ground shipping only.